Many many years ago my oldest son came to me talking about Minecraft. At the time I had absolutely no clue what he was talking about, as it was before the game really began to take off. Since then, Minecraft has exploded into one of the most popular computer and video games for kids of all time! My boys all love to play it on everything from their computers to PS4's and the Xbox 360. They have toy action figures and building sets they play with, and to say our house is a home of Minecraft lovers would be an understatement. Luckily, Best Buy has a full range of Minecraft games and collectibles that make the perfect gifts for the Minecraft enthusiasts in your life. I even created some free Minecraft gift tags that can be printed to go along with them! Minecraft is a game about building and placing blocks as well as going on adventures. Players can generate their own virtual worlds and build just about anything their heart's desire. They can gain unlimited resources when in creative mode, or turn it up a notch and mine for resources in survival mode, crafting their own weapons and even armor. The game is interactive and players have the ability to join others online and team up together. It is a great family-friendly game that I have never had to worry about the boys playing. 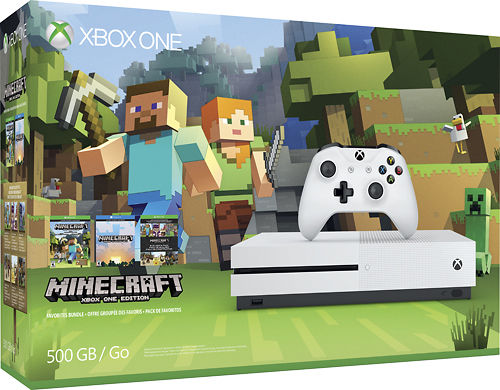 If you're shopping for the latest Minecraft games and collectibles, Best Buy is definitely the place to go, as they carry a wide range of Minecraft games, collectibles and toys, including the Xbox One S Console Bundle which is high on one of my boy's wish lists. 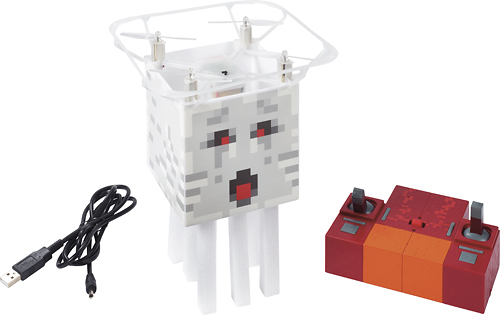 Picking up a gift for a Minecraft lover this holiday season? 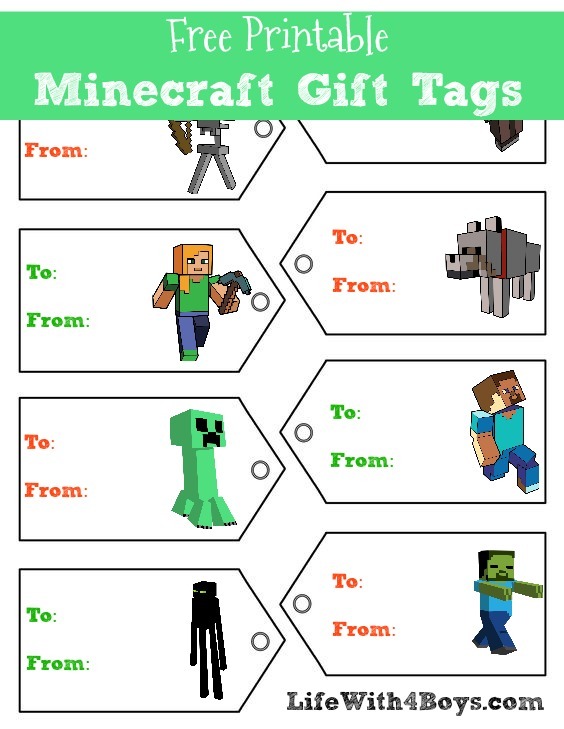 Take advantage of the free Minecraft gift tags below!